At Paragon Building Group, Inc., providing superior design+build solutions are not just our goal, it is our standard. We offer more than 20 years of experience by talented designers, builders, and skilled craftsmen. Our teams of degreed and licensed professionals are driven to deliver inspiring quality design solutions and efficient construction for a diverse client base, with a focus on adding long-term value and an increased ROI. 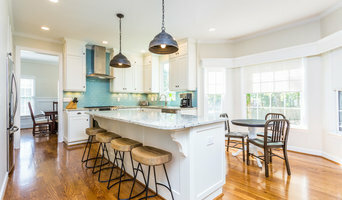 greyHouse Inc. is a full-service renovation & remodeling general contractor, specializing in home additions, full-scale home remodeling, kitchen remodeling, bathroom remodeling & exterior renovations. Located in Raleigh, NC, we proudly serve Central North Carolina with more than 35 years of experience. In 2009, David founded David Price Construction LLC with the goal of bringing his experience to bear in a way that emphasizes customer service. Since then, we have grown to be capable of tackling larger projects such as home additions, wall removal and movement, and full ground-up builds. At our core, however, we remain a small general contracting company with special emphasis on personalized service and customized solutions. David continues to provide every customer with a price quote in person, as well as visiting each construction site to personally oversee proceedings. David Price Construction is proud to specialize in undertaking projects that many other contractors would be intimidated by. When clients require a load-bearing wall to be moved or taken out altogether, for example, DPC is not intimidated by this challenge and will be diligent in making certain the job is done properly. DPC is a full service GC and provides our customers a full array of services from roofing to large scale additions and remodels. David Price Construction is uniquely equipped to streamline traditional contracting methods. We take an open book approach with our clients so that they can see exactly where their money is being spent on their project. We lend our expertise throughout the process, providing specialized value engineering during the planning phase to ensure that our clients’ budget and time schedule line up with their dream for their home or office. Because we provide a single point of contact, our clients can enjoy peace of mind knowing every aspect of their project, from design to permitting to construction, is being controlled by a simplified and experienced contracting service. Adamant Painting & Remodeling in Raleigh NC, is a Raleigh-based custom remodeling company serving the Raleigh North Carolina area. With integrity and a commitment to service, we've completely transformed entire homes and living areas of countless homeowners. While we work on your home remodel or home renovation project, our professionals keep a clean work environment and leave your home just as we found it, plus the renovation of course! No matter what home maintenance project we take on, we always make sure you are totally satisfied with the finished project once it is done. 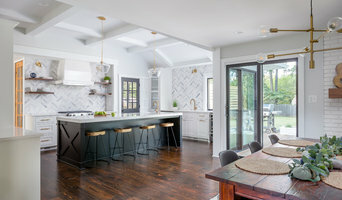 When you work with Adamant Painting & Remodeling in Raleigh NC, you get a team committed to quality and service with over 15 years of experience in the Raleigh NC area. We are committed to helping you understand and make conscientious decisions to achieve your home improvement goals. General, or construction contractors, are often known as project managers. They oversee the entire remodeling or new home construction project and facilitate all day-to-day tasks that move it toward completion. A Forest Hills general building contractor will work with your architect to review plan as you build a house and ensure everything is in place before work is started as well as arrange for permits and necessary inspections. While good local home improvement contractors in Forest Hills will have the skills to handle certain tasks onsite, such as carpentry, he or she is also responsible for hiring subcontractors for the majority of jobs, such as electrical work, painting or plumbing. In addition, the general contractor should be on-site regularly to inspect the progress and resolve issues. Here are some related professionals and vendors to complement the work of general contractors: Architects & Building Designers, Interior Designers & Decorators, Landscape Architects & Landscape Designers, Kitchen & Bath Designers, Specialty Contractors. Home remodeling contractors are a must for successful completion of a renovation. Because of this, it's essential that you do your homework before deciding on the right general contractor in Forest Hills as you remodel or build a house. Inspect bids carefully. Was it ready when the contractor promised it? Was the bid for building a home unusually high or low? Each of these things can be very telling: A late bid may reflect timing standards, and an off-the-mark bid could be code for a pricey premium or a deliberate underbid to score the remodeling job. You should call references, carefully read reviews and visit completed projects in Forest Hills, NC to see if they’re what you expect for your job. Once you do secure your local Forest Hills contractors, read the contract very carefully to be sure everyone is on the same page. 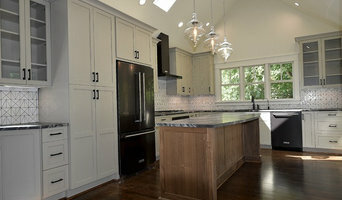 Find a Forest Hills contractor on Houzz. 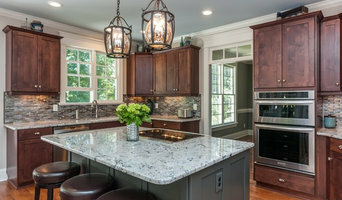 Narrow your search in the Professionals section of the website to Forest Hills, NC home contractors. You can also search for photos in Forest Hills, NC and contact the Forest Hills general contractor who worked on the project.